I asked my parents for a guitar when I was ten cause I wanted to be like Roy Rogers. The first song I learned was Gordon Lightfoot's "That's What You Get For Loving Me". I love the idea of this little kid singing all these love gone wrong songs. I started writing songs because it was easier than trying to learn other people's. When I became a teenager I got into singer/songwriters like Dylan, Jackson Brown and Kris Kristofferson, as well as the British Invasion through the Beatles and the Stones. I met Greg [Keelor] in high school and we became friends. We didn't play music at the time. It was not until years later, after university, when most of our friends were getting jobs, that we decided to start a band. It was a good time for new bands. Punk had made music simple, so you didn't really have to play well to be in a band. So, right from the start, we wrote our own songs and within six months we had our first single out. It was downhill from there; had to be didn't it? In 1981 we moved to New York City, as much for the adventure as for the music. We put an ad in The Voice and put together a new band, Fly To France, a truly stupid name. In Fly, we played all kinds of music: ska, reggae, punk, rock, etc. We did all the same futile stuff every band does. We had a manager who made a series of dumb decisions and then disappeared, chased futile leads with promo people and sent out endless packages. Finally, Greg and I decided we would just sit and record a bunch of songs from beginning to end. We got a New Zealand band, The Drongoes, to help us and we recorded a demo with Try, Floating, Outskirts and Rose Coloured Glasses. We moved back to Toronto in the mid-eighties and sent the tape around the to all the record companies. Bob Roper, the A&R guy at Warner Music Canada [where Blue Rodeo later signed], passed and told us they were looking for harder music. There was this lost highway, countrified thing happening in Toronto, spearheaded by Handsome Ned and his honky tonk hardwood floor radio show. All the punks and new wavers had learned to play their instruments, were into hollow-body guitars and had new bands. We came back from New York in the summer of 1984 and started to think about putting a band together. We already had the name, Blue Rodeo, when we bumped into Cleave Anderson who was out celebrating the birth of his son Tristan. We asked Cleave if he wanted to be in a band, just casually, and do local gigs. Ultimately Cleave said yes, brought in his friend Bazil (who had also coincidentally answered our NOW Magazine ad) and we were a band. Noteable Entertainment & Events is a Vancouver based booking agency, party rental, entertainment services and event production company. 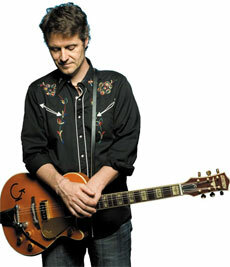 If you are interested in booking Jim Cuddy please contact us.